FLUORIDE PROTECTS TEETH! Leaving toothpaste residue in your mouth after brushing will maximize its effectiveness. There are many benefits of fluoride. Adults and children that are at a higher risk of cavities, poor oral hygiene, patients in ortho treatment, patients that have dry mouth (lack of saliva can make the teeth more susceptible to cavities) and patients with sensitivity. Since the American diet is high in sugar, acid and fermentable carbs, all patients from every age group can benefit from the re-mineralizing action of fluoride. Even patients with healthy diets such as those who frequently consume fruit and vegetable juices (which can be very acidic) can benefit from fluoride to strengthen their enamel. Fluoride Varnish is a highly concentrated, professionally applied treatment that is safe and very effective in lowering your risk of cavities and/or sensitivity. 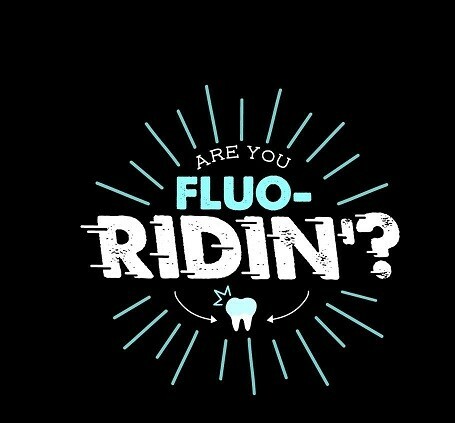 Some studies have proven that when Fluoride Varnish is applied every 6 months at your dental cleanings, it can lower your risk of cavities up to 70%! Fluoride varnish takes just seconds to apply! It is a gel-like substance that is brushed on to the surfaces of the teeth and dries quickly so that it can release fluoride over time directly in to the tooth. The best part is that because it dries so rapidly, there is no wait time to eat or drink after the application! There are a few simple rules to follow after application which your hygienist can explain to you at your appointment. Please call us to schedule your next appointment with Dr. Sam Namdarian for a dental exam and cleaning. Our hygienists at Fresno Smile Makeovers can give the best oral hygiene advices for your whole family. We are glad to serve our community in Fresno, Clovis, Madera and many other cities in central valley.